PAPILLION, Neb. (KMTV) — A new mental health crisis center is in the works to be built in Sarpy County. The county is voting Tuesday to purchase 6.1 acres of land on the corner of 25th street and highway 370 in Bellevue for the center. Currently at-risk citizens are placed in the county jail. The county wants to destigmatize issues surrounding mental health and give those in need their own specific facility. 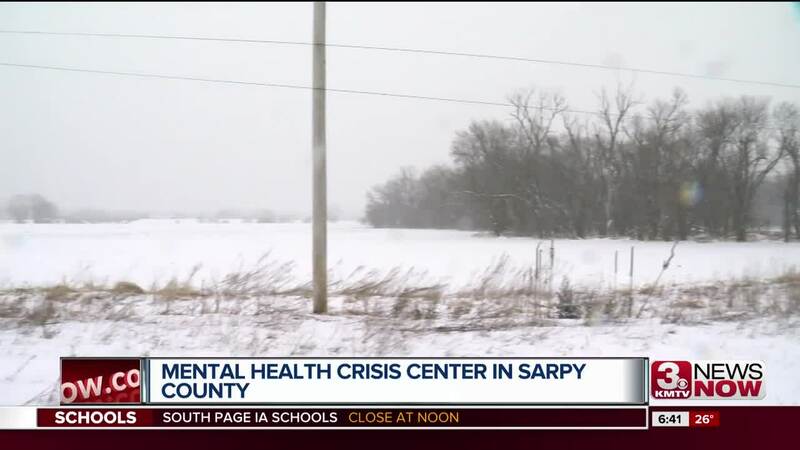 "There's really not a central hub, a place where law enforcement can take those who are experiencing a mental health crisis and hook people up with the services that they need," said Bonnie Moore, chief deputy county attorney for Sarpy County. "We also realize that emergency rooms are not the appropriate place for those experiencing a mental health crisis so to provide a center for those individuals to provide medical attention and also connect them with community resources is something that we don't have in the county." The building is still a few years away from being complete. Sarpy County has been studying the need for a mental health crisis center for the last year.